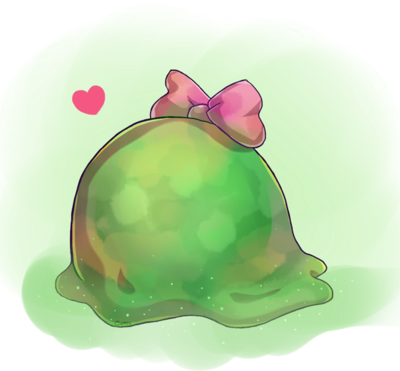 Good evening polish fans! 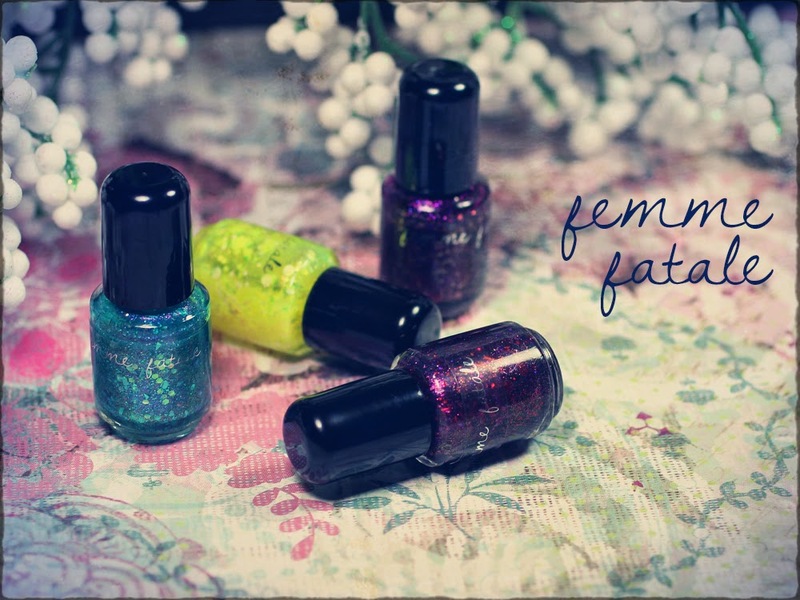 Here is the first of three fantastic posts featuring new releases from Femme Fatale Cosmetics. 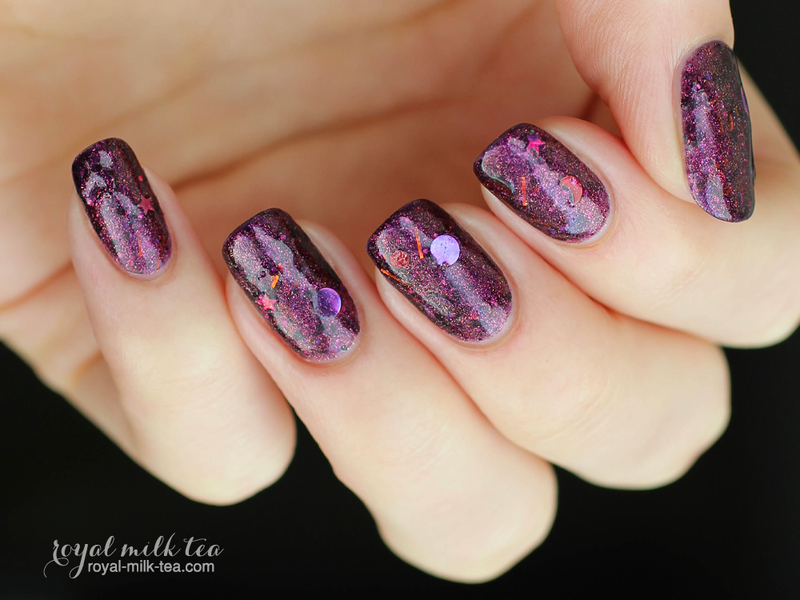 Tonight I have two gorgeous Color4Nails exclusive colors and the 2014 Halloween duo up on the blog. 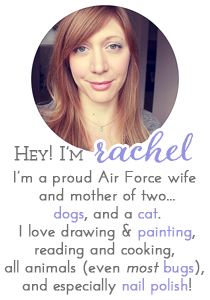 Keep reading for more photos and my review! 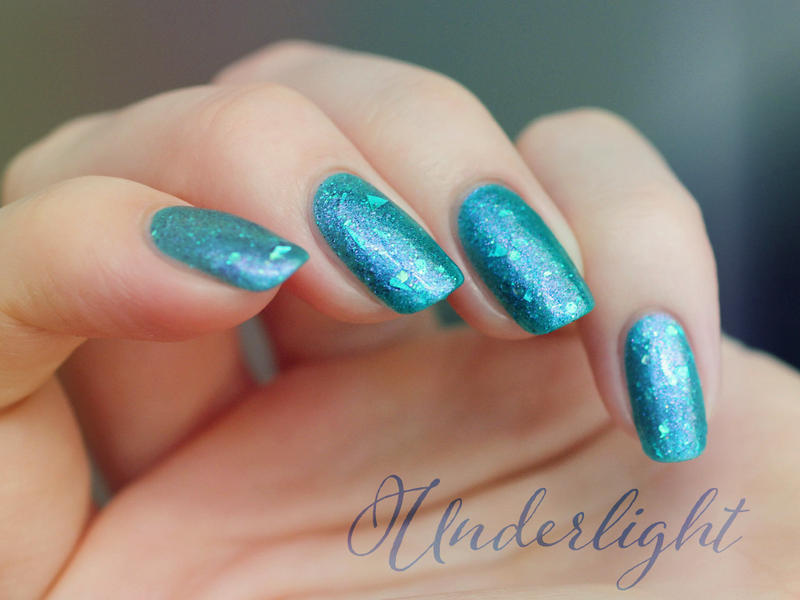 Underlight is a beautiful teal jelly packed with pink-gold-green shifting sparkle, small iridescent hexes, and holographic shards and micro-glitter, and is exclusive to Color4Nails. 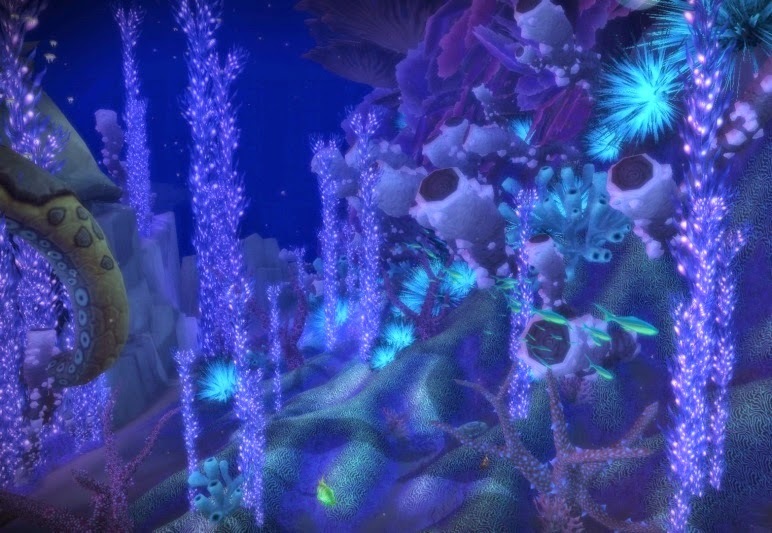 The contrasting shimmer and sparkling glitter in Underlight gives it a look similar to phosphorescent sea life in the deepest parts of the ocean, or the Abyssal Depths. 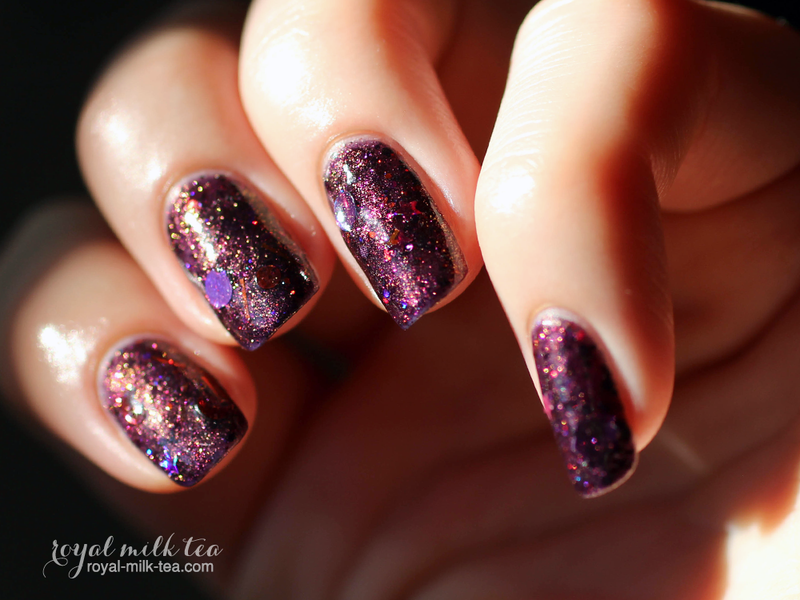 The formula was very good, smooth and easy to apply, with some fishing required for the glitter shards. 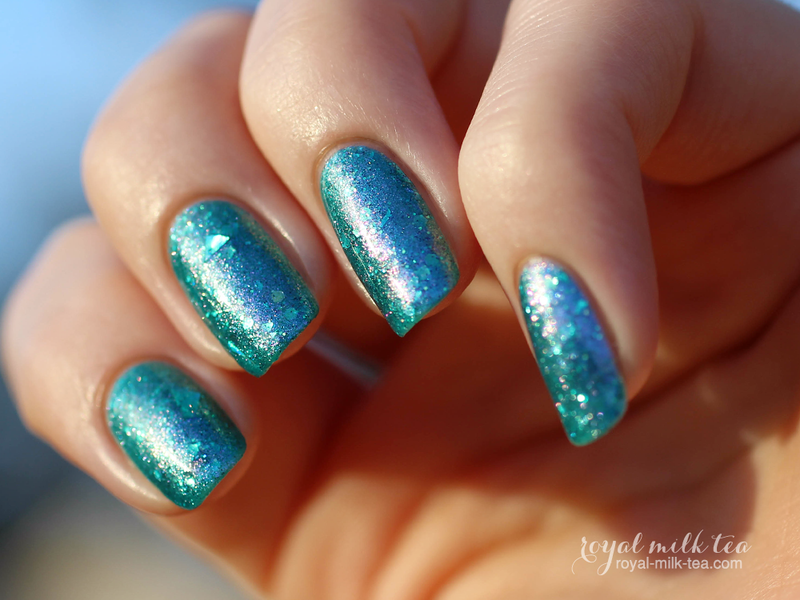 This color would also work well layered over a darker color to really make that pink shimmer pop. Pictured here is 3-4 coats with a coat of Gelous and top coat. 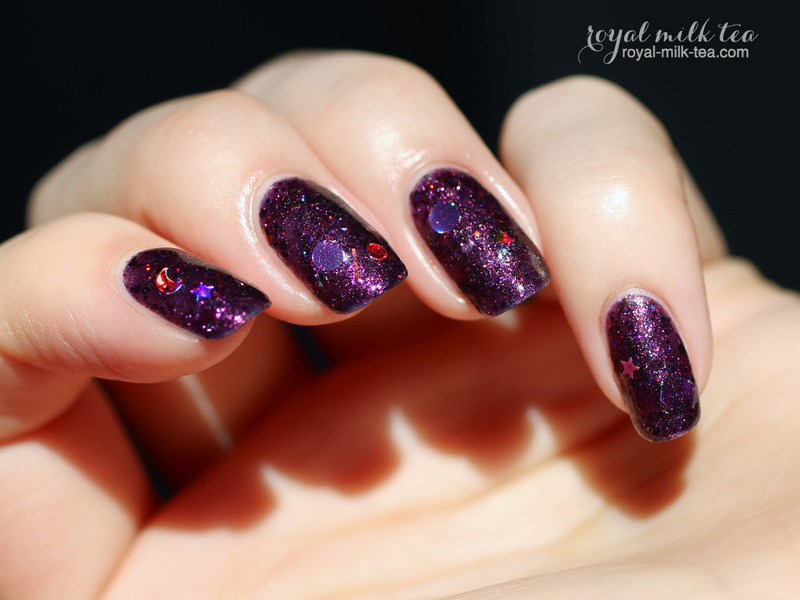 Embercrush is a rich, saturated eggplant jelly filled with magenta and blue shimmer and small gold flakes, and is also a Color4Nails exclusive. 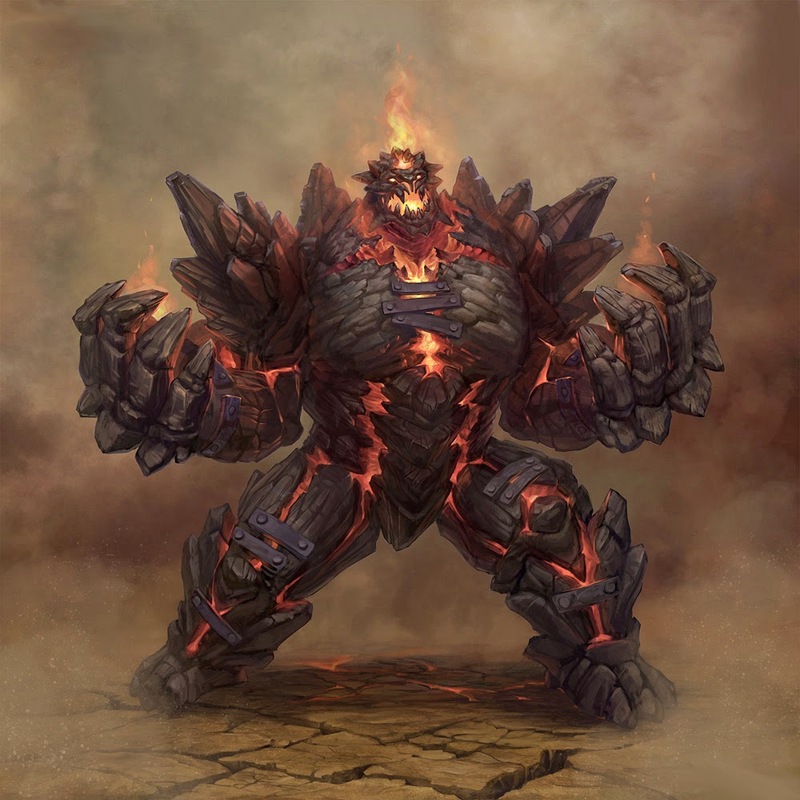 The depth and texture of this color makes it soo gorgeous, and it definitely has the look of fiery embers. 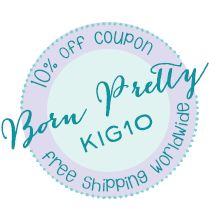 The formula was excellent and it dried very smoothly. 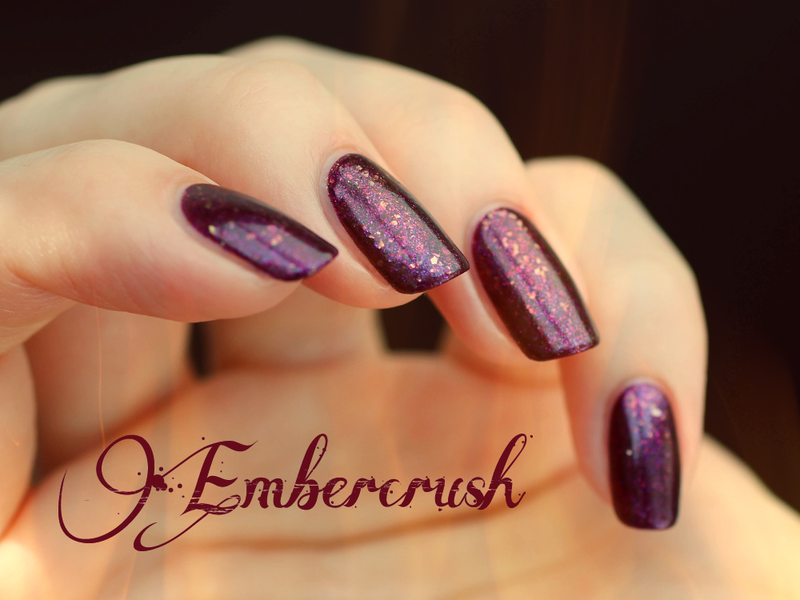 Embercrush looked opaque in three coats, and is pictured here with four coats plus top coat. 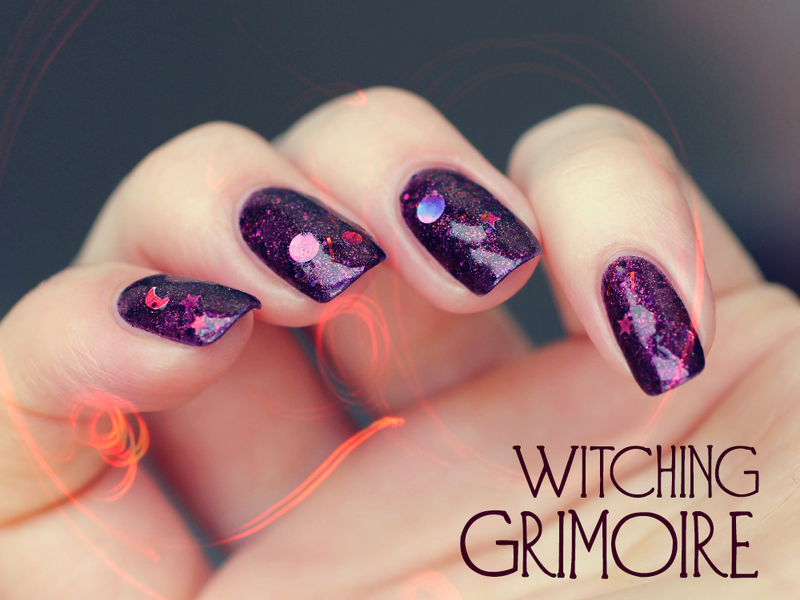 Witching Grimoire is a blackened eggplant jelly jam-packed with pink-to-gold shifting shimmer, holographic orange and magenta hexes, circles, crescents, and bars, and matte pink and purple stars and hexes. 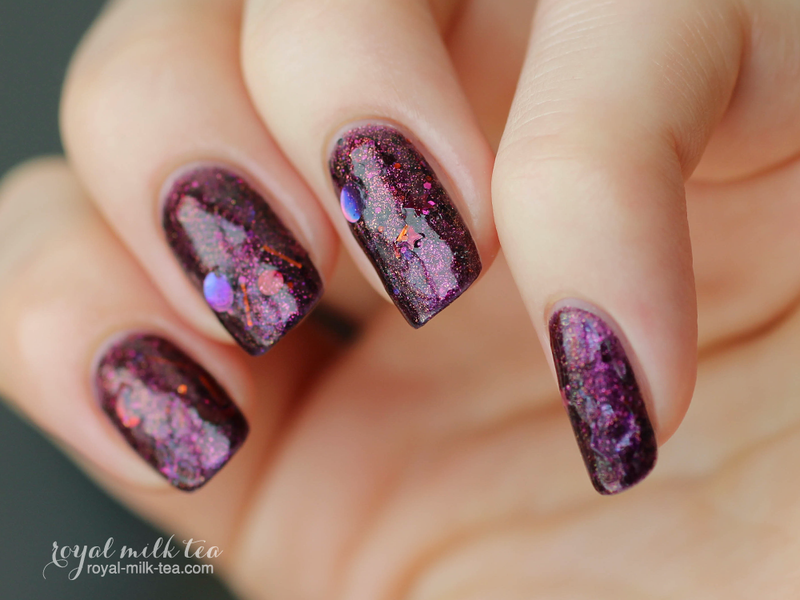 The overall effect is super spooky sparkle, depth, and texture-- very cool! 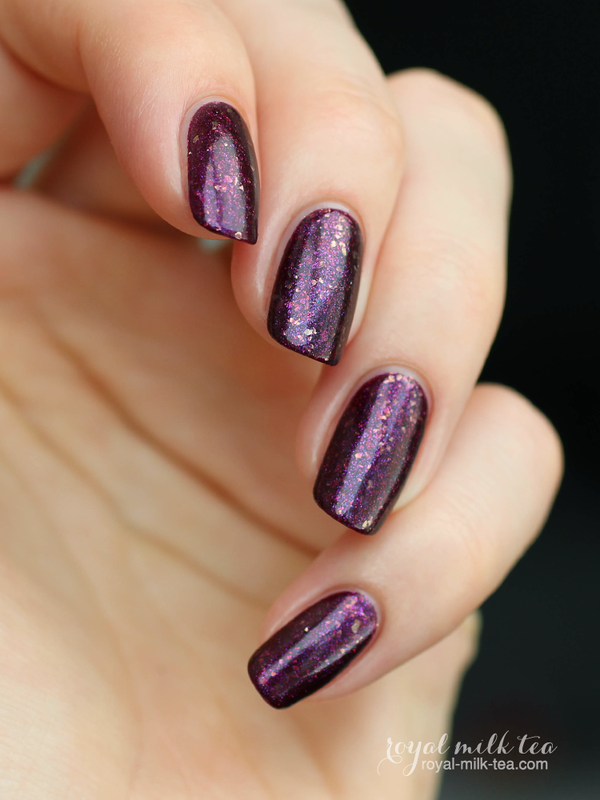 The formula was pretty good, somewhat thick due to all of the glitter and pigment, with fairly even application. I did have to do some fishing or give my bottle a good shake to get the larger circles and moons. And because of how much awesome is packed into this polish, Witching Grimoire tends to dry with a bit of texture and needs extra top coat and/or Gelous to smooth it out. Here I'm wearing three dabbed coats with two coats of gelous and top coat. 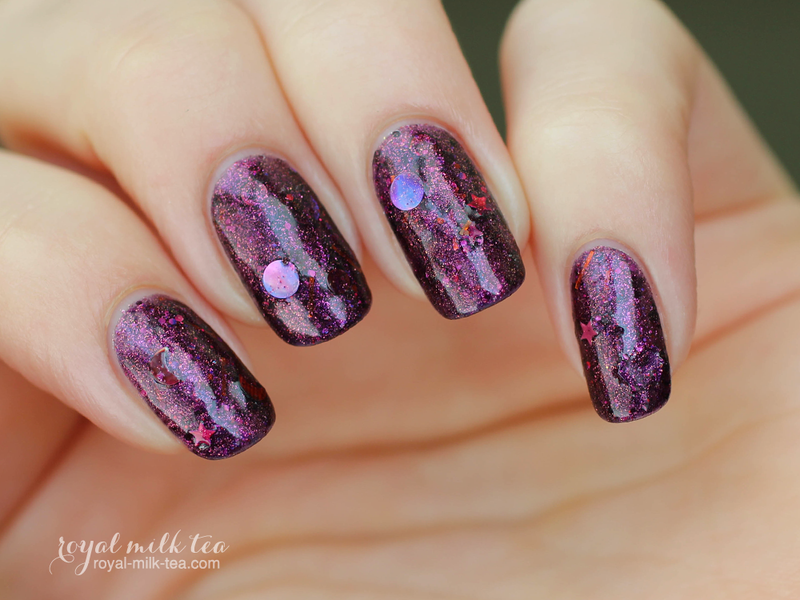 These stunning jellies feature beautiful medleys of glitter, sparkle, and texture unique to Femme Fatale Cosmetics' signature style. 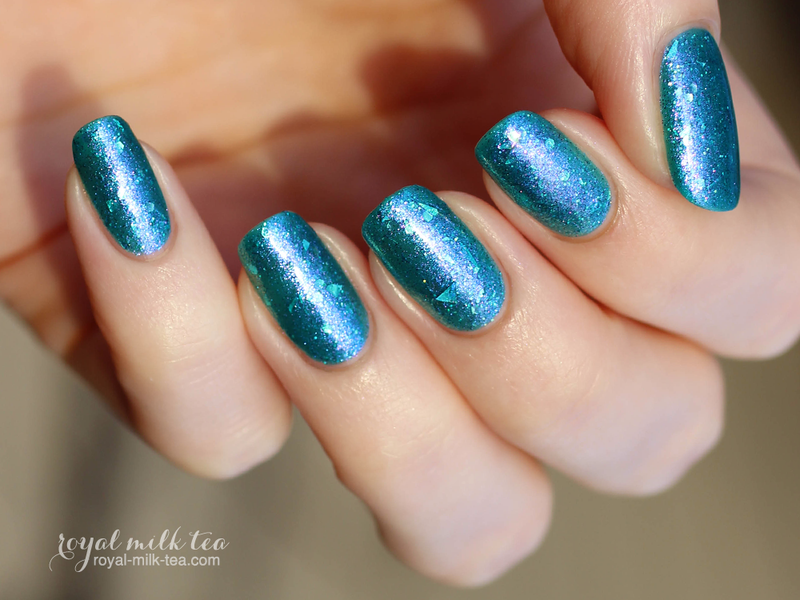 I love the versatility of these polishes, too, as they look amazing on their own or layered over other colors. 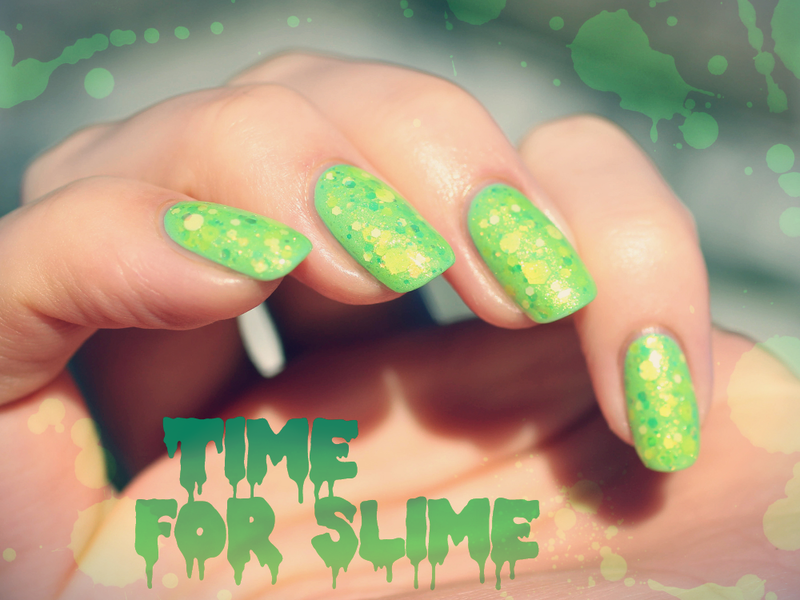 And for my World of Warcraft: Warlords of Draenor fans, what better way to level to 100 than by enjoying the sparkling awesomeness of your favorite MMO-RPG on your nails while you play? Too cool, right? 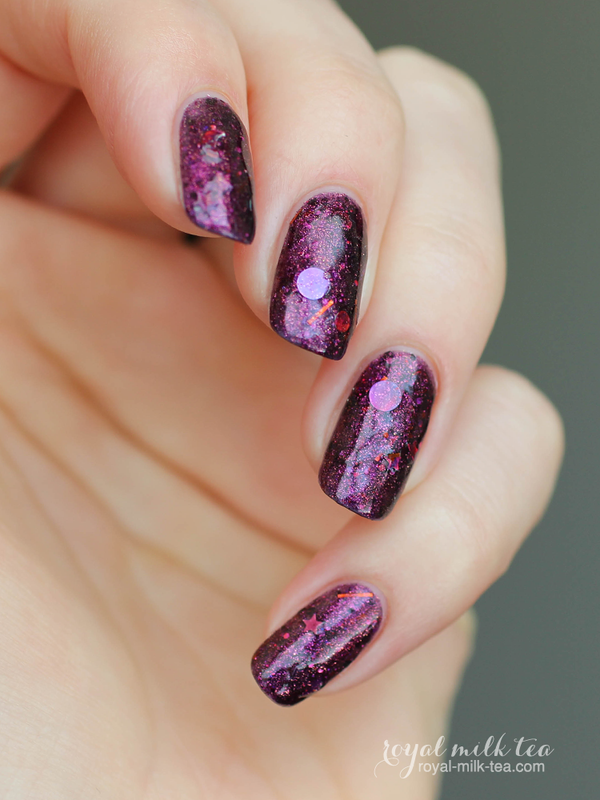 Remember to stay tuned for two more upcoming posts this week featuring Femme Fatale Cosmetics' new releases! These are all so pretty! Wow great swatches of all of them.